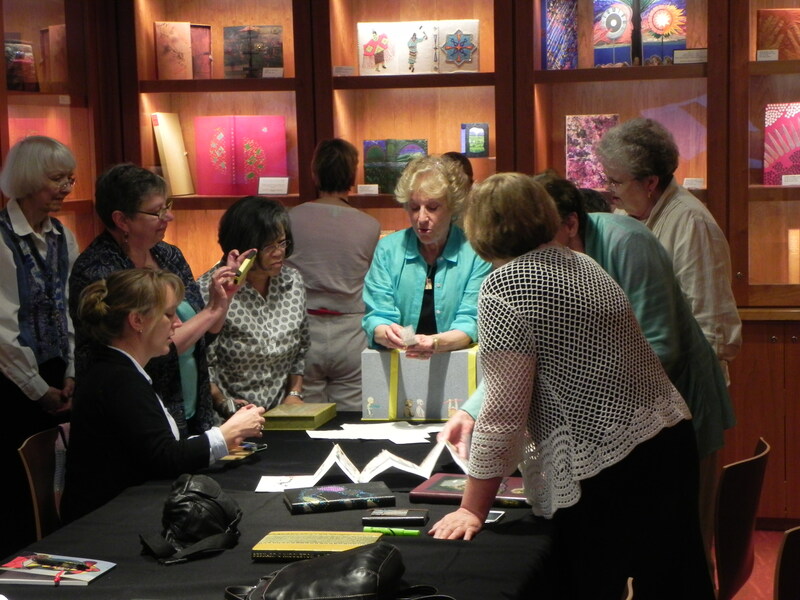 Cynthia Sears presents some of the books from the Museum’s permanent collection to members of the Puget Sound Book Artists. The Gallery is a unique space which has a large table for viewing and cases that provide visual access from both sides. The lighting showcases the books and the subtle wood tones create a warn ambience fitting for the art of the book. This is truly a jewel in the crown of a great new museum and we were privileged to have the opportunity to learn first-hand from Ms. Sears about the collection and the museum. For more information about the Bainbridge Island Museum of Art and the permanent Art Book Collection, be sure to visit the Bainbridge Island Museum of Art website.